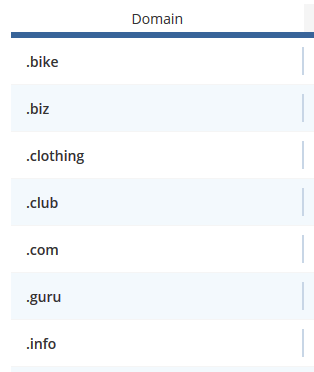 Does anyone know of quick way of ordering domain extensions in the pricing tables in alphabetical order? Yes, we can drag the extensions into a logical order, which was quite a practical way when they was first developed back in earlier releases of WHMCS, however, with a growing list of extensions now available, this is somewhat slow and impractical. first part deals with the Pricing Matrix Table on the domain registration page, second part deals with the separate domain pricing page.. This works perfect on the client side. Any ideas to make the Admin side more useable? using a SQL update query, you could re-sort the tbldomainpricing table order column as that table has it's own sort order value (which is what the client area must use to generate the order on the domain registration $pricing arrays). this will change the sort order of the table - once changed, there's no undo option! (short of restoring the backup). 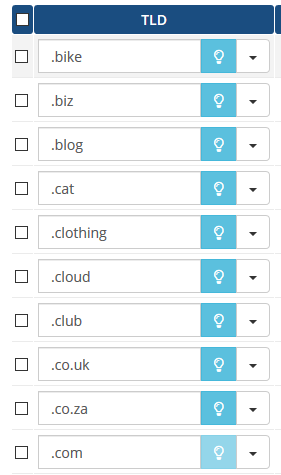 with this query, you will have the option of running it after you add a new TLD to domain pricing and the list will be sorted alphabetically again. this probably goes without saying, but i'm going to say it anyway - if you're going to run this query on the admin side, then the previous client area hook will be redundant as the database table has already been been resorted.